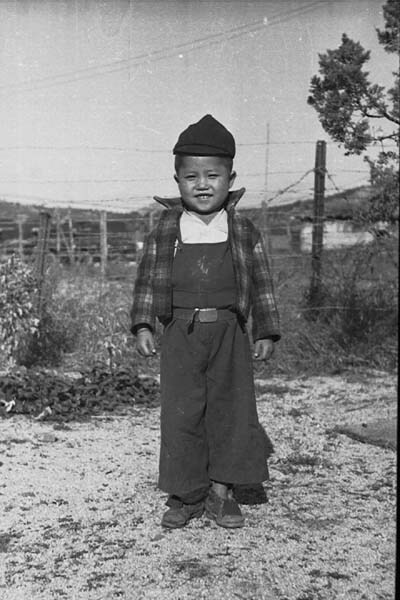 My name is Eddie Cho and I am one of your Manassas orphans. I was about four years old when the Korean War broke out. I remember my father being taken captive by the North Koreans and my mother being so sick and eventually dying of the black plague while trying to escape, on foot, from Seoul. This left my brother Woo Yeon (7 years old), my sister Ja Yeon (2 years old) and myself homeless, hungry and desperately hopeless. I experienced a lot of sadness and loneliness during those days. But the miracle of being taken to your shelter where my brother, my sister and I lived for many months will never be forgotten. I have often thought of the American soldiers from the 326th Communication Reconnaissance Company who took care of us at the Manassas orphanage. I had always wished that I could have known their names and addresses so that I could have expressed my gratefulness, but all I remember about them was that they were the 326th Company. I didn’t have any photos of them or names. What I did not realize was that Mrs. Rue [Director of the orphanage where all Manassas children were taken] knew you and your unit very well. Recently, Mrs. Rue visited our home and brought your letter and photos, in connection with your work in Korea. You cannot imagine how thrilled I was to learn of your whereabouts, to see the photos, read your letters, hear of the Korean War Children’s Memorial, and the 50th year anniversary celebration. My life long wish to personally thank you for your loving care, kindness, and empathy shown toward me and each orphan you cared for, has come true. I love the pictures-what a treasure! I have never seen anything like them. They remind me so very much of my childhood days. I have reviewed each picture over and over again. And I can assure you that my best memories were when I was at the Manassas orphanage under your care. You gave us the best food and better care than all other orphanages in Korea. Under you, Mr. Drake, I had my first sip of Coca-Cola; it felt like a thousand bee stings on my tongue. At first I thought I drank the wrong thing and would die. So many wonderful memories; you teaching us English, telling stories, singing songs, taking us to church on Sunday mornings. Oh how we loved to ride to church in the American army truck. We were kings of the world! You included us in each and every recreational activity, such as games and movies, with the spare time you had. I cherish and thank you for those precious memories you provided for us at the Manassas orphanage. Sometimes I wonder what would have happened to me if you and Mrs. Rue had not cared for me. Today I have no riches, fame, or social rank, which our society views as successes, but I have been blessed with much greater riches. Those riches include Christian principles, the blessed hope, the inner joy, and eternal values I hold in such high esteem today. I am certainly convinced that you made it possible for me to be the person that I am today. No words can express my sincere gratitude for all you have done. I know that God will surely reward you in heaven someday for each one of us that you cared for and loved. This is my sincere desire for you, Mr. Drake, the 326th CRC and Mrs. Rue.